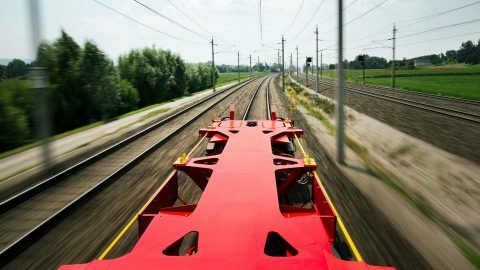 A new lightweight platform for the carriage of superstructures was presented to the public by manufacturer voestalpine and Rail Cargo Group (RCG), the Austrian-based rail logistics company that will be operating the new rolling stock. The equipment innovation is named TransANT. The wagon offers a payload advantage of up to 4 tonnes, made possible, among other things, by the twenty per cent lighter chassis. The standardised platform is available in different lengths between 33 and 70 feet and the modular structures are available in various industry-specific versions. The body changes thus allow adaptations to changing logistical requirements, explained RCG. In contrast to other modular equipment concepts, TransANT can also be used without restrictions in conventional single wagon transport, even with bodies. 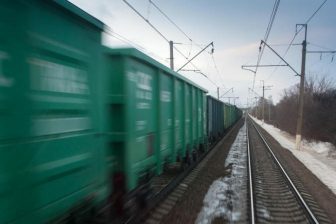 The intelligent interface between body and wagon enables the rolling ability and the wagon is usable without structure as a container wagon for intermodal transport. 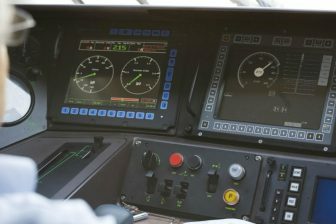 The preparation for automatic coupling ensures future optimisation and automation of railway operations, the operator continued explaining. 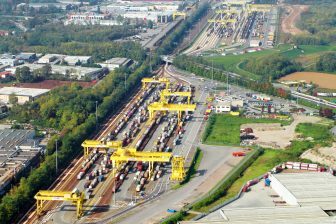 “The market is in demand for modular lightweight construction concepts in which different superstructures adapted to customer needs are transported on standardized platform wagons”, RCG commented. Voestalpine is a known manufacturer of high-end lightweight components for the automotive industry. 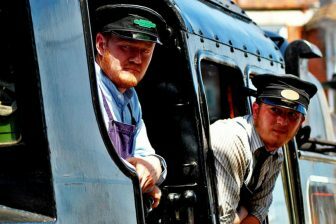 With the TransANT project, the technology and industrial goods company has entered the railway sector. For the innovative platform truck, the company provides a complete system of steel components of the highest strength and welding technology, which contributes significantly to the weight reduction and versatility of the car. The platform car will be exhibited at the Innotrans trade fair in Berlin from 18 to 21 September. It can be found in hall B, CityCube / 521, outdoor area GLEIS 8/401.